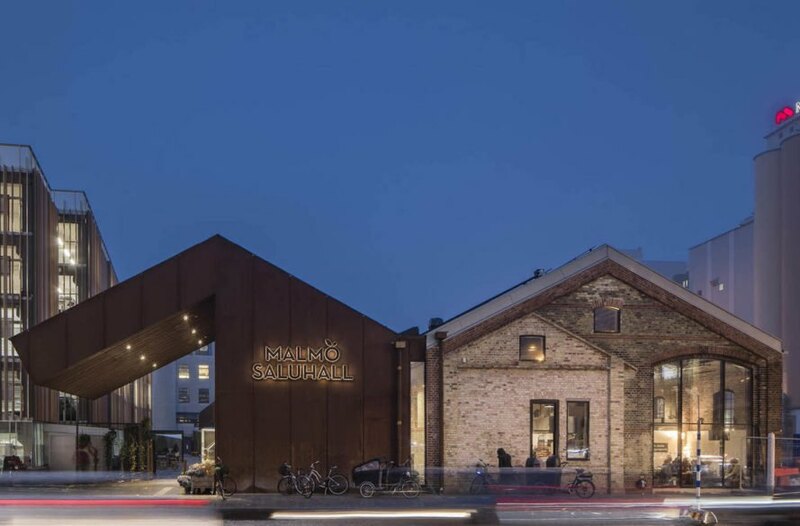 Swedish architects Wingårdh dramatically transformed a roofless freight depot into an industrial-chic market hall in Malmö, Sweden. 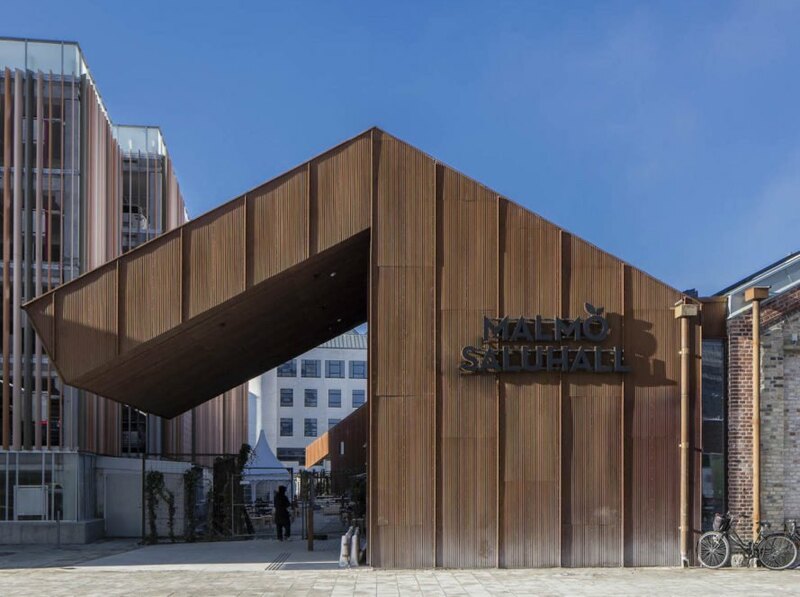 The adaptive reuse and expansion project combines old bricks with Corten steel for a modern look that still pays homage to the 19th century building’s industrial roots. 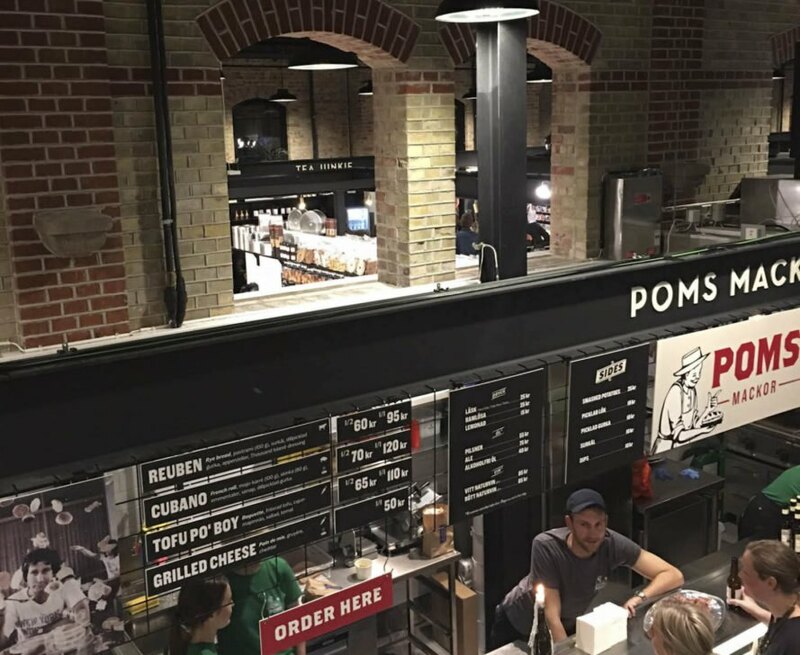 Located on Gibraltargatan, the 1,500-square-meter Malmö Market Hall caters to 20 stalls and cafes that celebrate the city’s melting-pot culture with its diversity of food. Clients Nina Totté Karyd and Martin Karyd commissioned Wingårdh in their quest to create a “food lover’s paradise” inside an abandoned goods warehouse. The clients and architects sought to preserve the building’s historic character while imbuing modern details. “As a visitor you should be transported back in time, yet experience a modern day market, slaughterhouse and dairy,” wrote the clients. In addition to renovating the existing structure, Wingårdh added an extension clad in weathered steel. The new addition mirrors the warehouse’s gabled form and the use of Corten steel mimics the rust-colored hues of the brick facade. 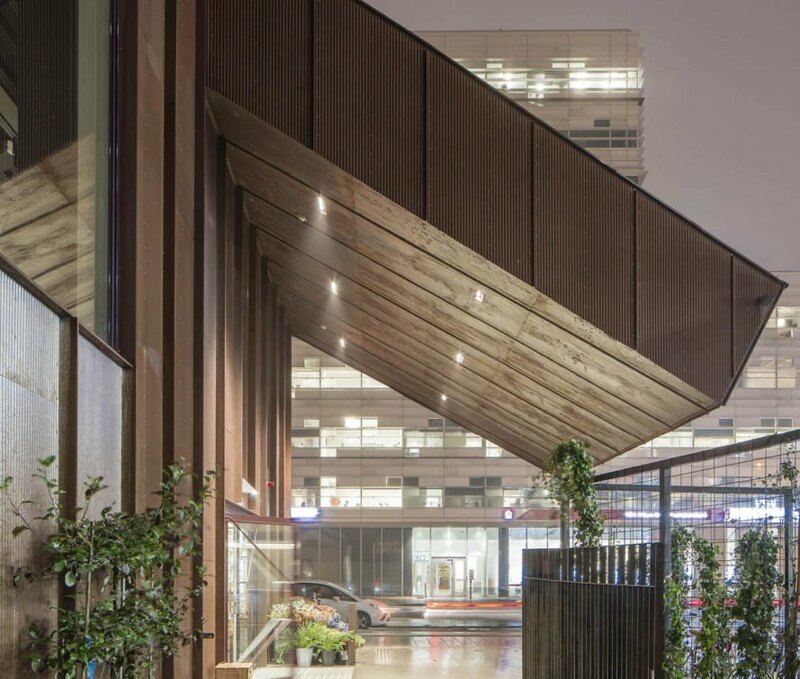 A large strip of glass separates the extension from the old brick structure. Adjoining courtyards were built to host farmers markets and alfresco dining. Clients Nina Totté Karyd and Martin Karyd commissioned Wingårdh in their quest to create a “food lover’s paradise” inside an abandoned goods warehouse. The clients and architects sought to preserve the building’s historic character while imbuing modern details. 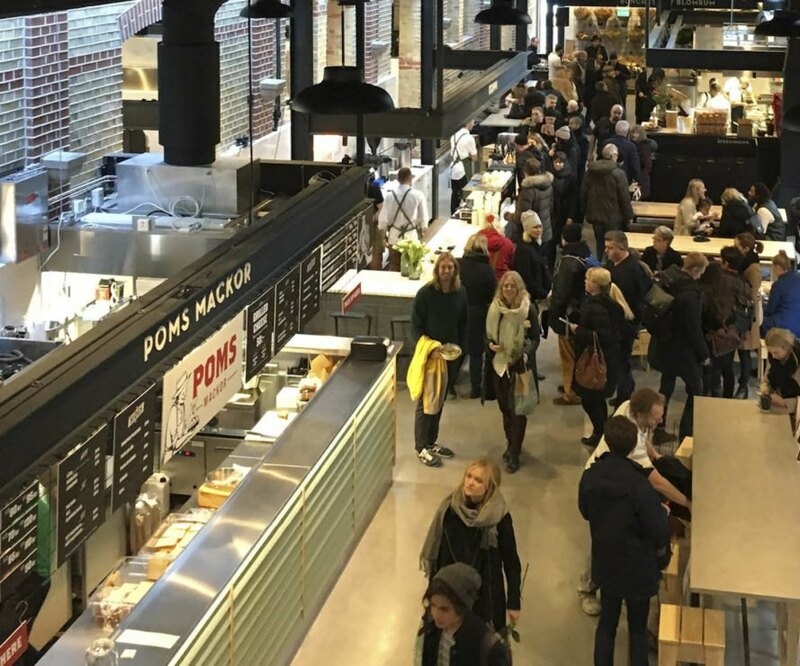 “As a visitor you should be transported back in time, yet experience a modern day market, slaughterhouse and dairy,” wrote the clients. In addition to renovating the existing structure, Wingårdh added an extension clad in weathered steel. The new addition mirrors the warehouse’s gabled form and the use of Corten steel mimics the rust-colored hues of the brick facade.